Now that your online profiles are up-to-date (including both your employment information and your photo), you can begin to actively use professional networking sites to network and look for career opportunities. Today’s task is, generally, to become more active on Twitter. Employers and job sites use the social networking and microblogging site to post job openings and search for job candidates. It is therefore an important site on which to network. Below are a few steps for creating a professional Twitter profile if you haven’t already, and for expanding your professional presence on the site if you are already on it. If you are not already on Twitter, the first step is to join the site. Choose a username, or handle, that is simple and professional, such as your first and last name. In your Twitter bio, include a brief summary of your professional identity (you can even use the branding statement you created on Day 2) as well as a link to your online resume or to your blog, if you have one. When selecting your Twitter profile photo, use the profile photo you selected on Day 6. 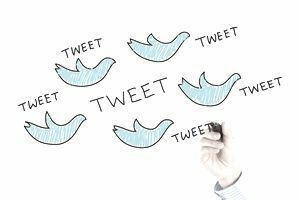 Use Twitter to establish yourself as an expert in your industry. Tweet about industry topics, tips, advice, related quotes, etc. You can also retweet information from other industry insiders. Once you have created your Twitter profile (or if you already have a profile), post one tweet related to your career field. Once you have posted one tweet, find and follow ten people or companies on Twitter who relate to your professional interests. This will help you to develop a network of people in your industry. These people and companies also occasionally post job openings on Twitter. Many companies and job search engines post job openings on Twitter. Once you have created your profile, posted one tweet, and selected ten people to follow, select and follow one Twitter job board. These job boards will help you find jobs posted on Twitter that relate to your industry. Some will even distribute your resume to various companies. Most of these sites will send you targeted job tweets directly to your Twitter feed or mobile phone, if you want.